Life and death, human beings and nature, present and past—these ideas are embodied in the masculine verticality of Inujima's industrial modernization ruins. In contrast, the village on the same island is a site of life lived by generations of villagers with the “eight million gods and goddesses,” symbolizing the horizontal time, feminine everyday life. 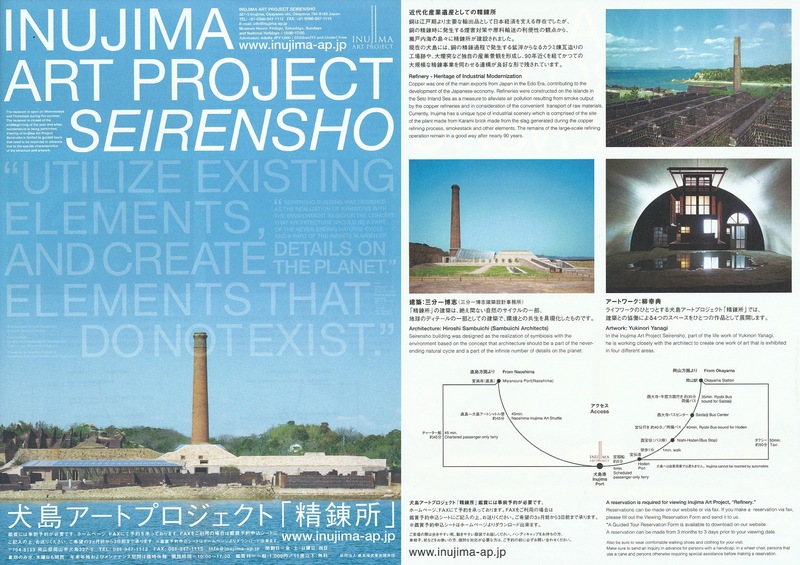 This set of contrasting metaphors, which underscores Inujima Art House Project, was expressed in the proposal of community revitalization as outlined in my 2001 grand design which proposed to trasform the entire island into art. 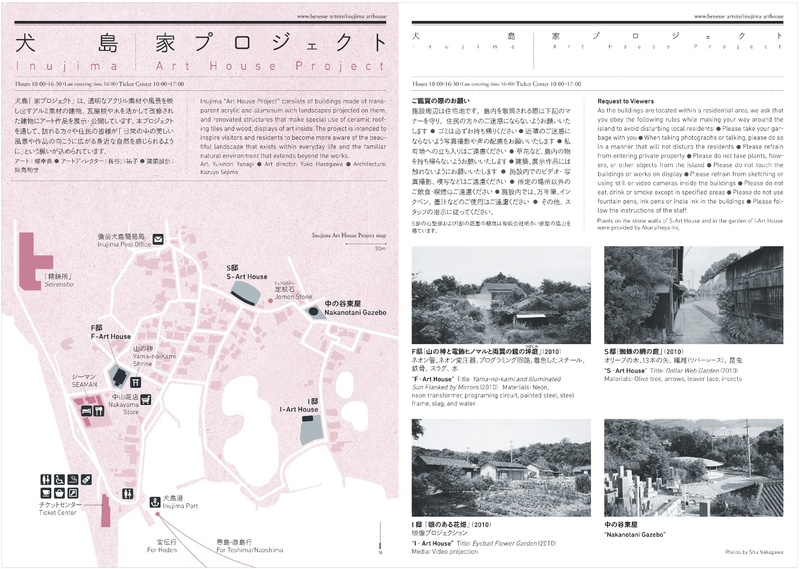 This cannot be a “reconstruction” of the village from an architect's view, but it must be a “reclamation”of both “body” and “spirit” of Inujima as a singular point conceived from an artist's view. Paired with Seirensho, which critiques japanese culture by transmiglating Mishima Yukio to a modernization heritage site, Inujima Art House Project serves a critique of modern civilization, sounding an alarm against the increasing homogenization of the world caused by globalization. This message has greater impact in a village in the Setouchi Inland Sea, a primal landscape of Japan, than in the vortex of consumer culture in a metropolis.